SCPD are investigating a motor vehicle crash that killed a motorcyclist in Centereach on Monday, July 10. Centereach, NY - July 11, 2017 - Suffolk County Police Sixth Squad detectives are investigating a motor vehicle crash that killed a motorcyclist in Centereach on Monday, July 10, 2011 at 9:47 p.m.
James Conner was driving a 2014 Mini Cooper southbound on North Washington Avenue in Centereach when his vehicle struck a 2013 Badas motorcycle. The motorcycle was operated by John Greehy, who was traveling east on Gould Road, when he ran a stop sign at the corner of North Washington Avenue and Gould Road. Conner, 50, of Centereach was transported by Centereach Fire Department to Stony Brook University Hospital for treatment of minor injuries and released. Greehy, 27, of Port Jefferson Station, was pronounced at the scene by the Physician Assistant Medical Examiner. Both vehicles were impounded for safety checks. The investigation is continuing. 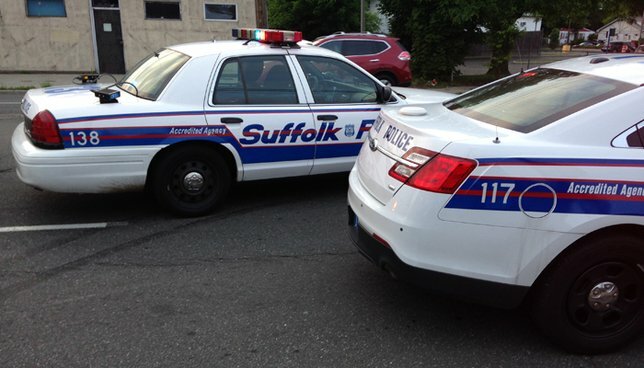 Anyone with information is asked to call the Sixth Squad at 631-854-8652. Subject: LongIsland.com - Your Name sent you Article details of "Motorcyclist Killed in Centereach Motor Vehicle Crash, Officials Report"